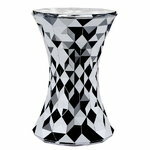 Stone stool is almost like a jewel. The shape of an hourglass reflects light beautifully. Stone is suitable for outdoor use also, and it is an object with multiple uses. It can be a stool, a night stand or an extra seat at the terrace. 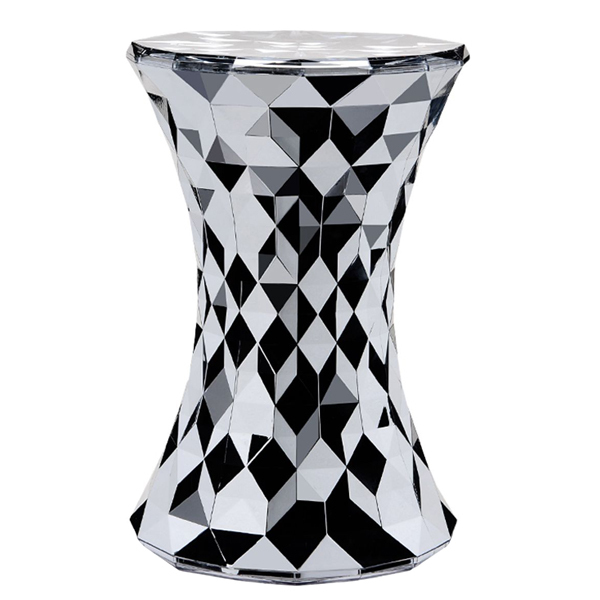 The Stone stool by Kartell is designed by Marcel Wanders. The Dutch designer Marcel Wanders (b.1963) graduated from ArtEZ Institute of the Arts in Arnhem in 1988. In 1995 he opened his own studio in Amsterdam and only a year after he received a lot of international recognition by creating the iconic Knot Chair.